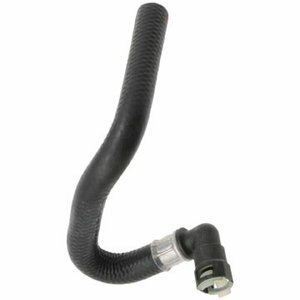 This Dayco Molded Heater Hose branched assembly is designed to replace OEM coolant hose and provide long, reliable service. Made with the same bends and routing as the OEM assembly, this hose is designed to fit the vehicle precisely. This hose has a quick connect end assembled onto the hose for fast, convenient installation. With this Dayco product you avoid the hassle of buying a separate connector and clamp and having to install it before the hose can be used.